Some things that can be randomly found on killed or captured NPCs in the Ancient Lands. It’s a great tool for showing the players about the setting instead of telling them, which I think first appeared in Vornheim by He Who Must Not Be Named. Since I believe no kittens were killed in the development of this idea, I have no problems with using it. It’s a great tool that every setting that wants to be more than generic should use. Over the last couple of months I have been steering the design of the Ancient Lands away from true sandbox environments towards something more of an expedition focused nature. Adventures more in the style of David Cook’s The Isle of Dread and Dwellers of the Forbidden City. Civilization and culture is increasingly moving into the background in favor of greater attention to environments in which actual adventures are playing out. 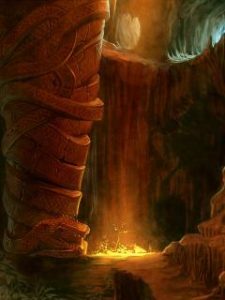 But the setting is not just aimed at being a stage for dungeon crawls, but for entire expeditions from the planning to the eventual triumphant return laden with gold. This makes the settlements through which the party passes along the way an important and integral element of both the adventures and the setting. During a discussion about the development of the setting I mentioned that all proper civilization is located along the rivers and coast, which led to the natural question what the deal is with all the communities not located directly on this primary trade network of waterways. While trying to express how I was imagining minor settlements, this idea of Three Degrees of Civilization evolved naturally while I was typing a response. (Which is why I always love writing about my design process. A lot of great ideas arise from that.) It all goes back to the Hill Cantons idea of Corelands, Borderlands, and the Weird, with which it overlaps, but is not identical. In the Ancient Lands, the starting towns would be corelands where everything is ordinary; the wilderness is the borderlands, where things are getting strange and threatening; and the ruins and caves of the main adventure sites would be the weird, where the Mythic Underworld is fully realized. In a slight twist, cities are not part of the corelands but of the borderlands. So many people living together in a massive construction of stone is just not natural and alien to the ordinary clanspeople from which PCs come. But not all villages are equal. While the towns from which expeditions start are clearly part of the corelands and some of the early settlements are welcome islands of safety in the wilderness, the further away from the main waterways of civilization you get, the more foreign even the villages become. As the title indicates, I came up with three categories of settlements that are meant to make the players experience their gradual transition into the weird. Settlements of the first degree are all places that are regularly visited by travelling merchants and who are part of the international network of trade. They import goods from foreign places and in turn export local products to pay for them. Almost all first degree settlements have some kind of port or pier where merchant ships traveling on the major rivers and along the coasts can trade their goods. Even though cities are strange places, they are also communities of the first degree. 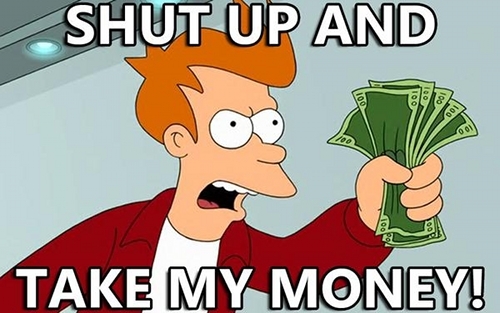 The first thing that is of importance to player characters in these settlements is that business is done with coins. These settlements have stores, taverns, and sometimes inns near the port where they can get any supplies and services they need by simply paying for them with money. If they require mounts and pack animals, there are traders who sell them. The other main feature of these communities is that visitors are common and that most of the locals enjoy some social mobility. This makes them the best places to easily recruit hirelings, guards, and other specialists. The idea of paid labor and going on long journeys is not foreign to these people, even if the majority of them has never traveled furthern than one or two settlements away from their home. Bronze is a common material in these communities and soldiers are regularly equipped with lamellar cuirases and bronze spears, axes, and swords. Communities of the second degree are not directly on the trade network that transports goods across the world but they have regular contact with settlements that are. These are almost universally fully argarian communities that are mostly self-sufficient but have some frequency of bartering surplus food and animal skins for manufactured goods with their neighbors. Second degree communities don’t normally use money for everyday transactions but as they have regular contatact with places that do it has still value for them. While there are no stores to buy supplies, parties can stock up on food and other basic necessities by offering coins to locals that can spare some. Getting new equipment in these places can be quite difficult as there simply aren’t many tools or weapons with which the locals would part. 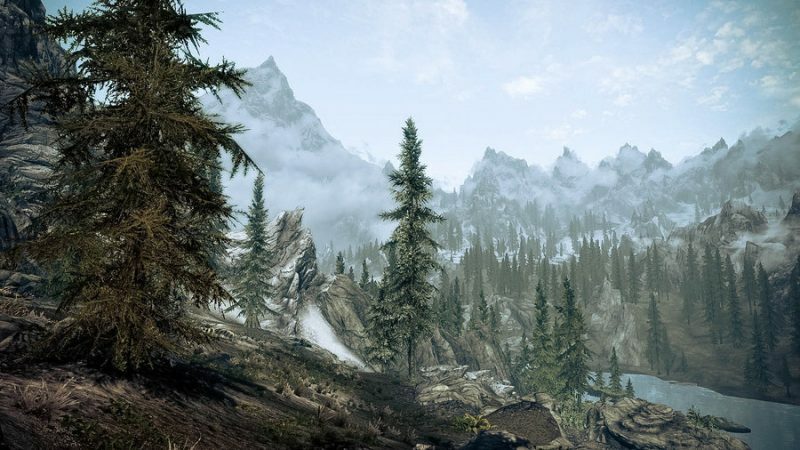 Ocassionally traders from neighboring settlements might arrive with a few ogets carrying some goods for barter, these communities don’t see any regular visitors and as such there are no inns and taverns. The center of the community is usually the hall of the chief and the only accomodations are those offered by local families who invite the PCs as guests. If they are travelling with a considerable party of hirelings and guards, this hospitality probably won’t extend to them. Usually getting such an invitation is not difficult, as hosting travellers is widely considered a previlege among wealthy families who are proud to have such honored guests. Since labor is limited and everybody needed, recruiting new hirelings in these communties is difficult. Player’s might be able to find one or two people eager to leave before they are being cast out, but other than that a local guide to show the path to a nearby ruin is usually the most that they can get unless they have become close friends with the village leaders. Bronze is a rare and valuable material in these communities and lamellar armor or swords are uncommon, while leather scale armor and bronze spears dominate. These villages are almost always very small and isolated and located far from any major trade routes. Their only contact with civilization is through neighboring comunities of the second degree and even that could be very limited. Unsurprisingly, these settlements have no use for coins but might accept gold and silver jewelry when bartering for food. Outsiders are often invited into such villages only if the locals are desperate for help with outside threats and then it is only the chief who has the right to make such invitations. Hirelings can not be recruited in such communities but if one of the PCs somehow ends up having a strong relationship to specific NPCs these could still join the party as henchmen. Most such communities have very little bronze and as such large numbers of spears and arrows are using stone blades. Only high ranking warriors have bronze weapons and armor is generally limited only to shields and small numbers of bronze helmets taken as trophies. In a discussion about henchmen and retainers I mentioned that oldschool D&D characters at higher levels would need to bring pack animals with them to get all their treasure back to civilization and gain XP from it, which means also people to care for and guard them while the PCs are going into dungeons. Not having played higher level games with XP for treasure myself yet, I got curious how many animals you’d actually should plan for. In B/X, a mule can carry up to 4,000 coins of weight. Assuming that’s mostly gold and the rest is 1 platinum coin for every 10 silver coins, this is worth 4,000 XP. Which isn’t bad, but given the amounts of XP needed to advance at higher levels it’s actually not that much. People always say that that characters at higher levels advance really slowly, which I would take as perhaps something like 10 extended expeditions to a distant dungeon far out in the wilderness. To me, 30 sessions to level up would qualify as a snail’s pace. On average, characters from 8th level onward need 120,000 XP to reach the next level. Divided by 10 that’d be 12,000 XP per adventure or 3 mules. For every PC in the party! What about bags of holding? While certainly useful inside a dungeon and to carry home treasure at lower levels, these no longer make any real difference at higher levels. 10,000 coins for the weight of 600 sounds really nice, but at these levels you’d need a dozen or so of them to stash all your loot from a single adventure. For every bag of holding you can reduce the needed number of mules by two, but whether you travel with 10 or 20 of them hardly makes any difference for the logistics involved. I also calculated the average dragon hoard and came up with enough coins to load 15 mules. But potentially (and statistically almost impossible) it could be as much as 60 mule loads. Then there’s also the interesting matter of food. Mentzer Expert gives us a weight of 70 coins for 1 week of rations. Which is virtually nothing compared to mail armor having a weight of 200 coins. One of the PCs can carry all the food needed by a 10 head party for a one week return trip all by himself and barely experience any encumbrance at all. Though you have to consider that this is the weight of 100 daggers. Perhaps it’s not the weights that are too low but the carrying capacity of characters that’s too high. But that’s another topic. Let’s do the same calculations for Lamentations of the Flame Princess, which uses a much simpler encumbrance system that I find highly preferable. 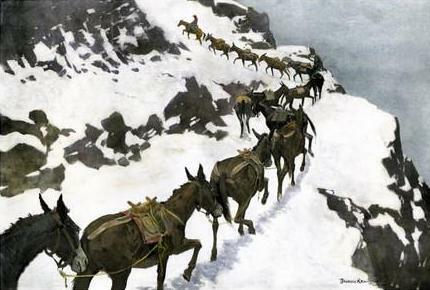 It makes the common mistake of assuming that mounts walk twice as fast as people, while really they just can carry a lot more stuff at the same speed, but I’ll let this slide for now and go with severely encumbred mules traveling 12 miles per day: Under these conditions the animal can have an encumbrance rating of up to 25, which is 125 items. When packed by a professional animal handler this increases to 150 items. (As nice as the system is, the distinction between encumbrance rating and items carried is an unnecessary nuisance.) 100 coins are one item, which gives us a total of 15,000 coins or 15,000 XP. That is a lot more than in B/X, almost four times as much. But with 10 adventures to reach the next level, that’s still one mule for each party member. It looks very different when you look at food. To feed 10 people for 7 days you’d need to carry 70 items and the maximum number for an armored character is 20 items. You’d really want to bring a pack animal for that and not haul it around yourself. Letting a mount carry 8 times as much stuff as a person at the same walking speed seems a bit much to me. I don’t think a group of heavily loaded soldiers will be moving much faster if they all put their backpacks on a single mule. I think for my own campaign I rather go with the average common pack goat carrying twice as much as a Strength 10 character, a riding deer three times as much, and a small hadrosaur ten times as much. Yes, you wouldn’t need a lot of these giant lizards to haul your loot, but on the other hand you can ride into town on a dinosaur. But as you see, adventuring without retainers at higher levels is not just impractical but close to impossible. To gain meaningful amounts of XP from adventures, you have to approach them as large scale expeditions. In addition to animal handlers you’re also going to need guards and loyal henchmen who keep watch over them while the PCs are away from the camp. And once you have that whole gang together, there’s no need to not travel in sstyle. Get a bunch of servants and cooks as well. Last week or so I’ve been writing about how I consider organizing the setting material for the Ancient Lands into individual documents for each region, similar to the FR and GAZ modules for D&D. But thinking more about it I realized that doing 12 of these would be a bit much and one area is actually really small while another is not even intended to be explored like the others. Mentally playing around with possible ways to group some regions together, I came to the conclusion that there are actually four destinct regions whose lands and cultures are strongly interconnected but have few links with the others. Having a total of four regional books that can stand on their own as complete settings containing multiple landscapes and interactions between local groups seems actually much more practical to both write and use. So each book might indeed end up at a scope very similar to FR5 The Savage Frontier. To get myself back into regularly writing about the actual world itself, here is a shortish post on the four main region of the Ancient Lands that will be described in detail. They still only make up only a relatively small part of the continental map, with probably some 80% being left entirely blank. I’d say they probably hold 80% of the humanoid population and most of the major settlements big enough to end up on a map, but those blank spaces should hold plenty of room to possibly add more regions later. Though at this point I can’t really think of any kind of land I’d like to create that isn’t already incuded. I don’t have any good map of the continent right now, but basically it’s a crescent shaped coast open to the ocean in the west (I grew up close to the North Sea and in my mind the sun has to set in the sea) with two clusters of islands near the tips. Everything east of coast is forests stretching on forever. Since this region is the closest to the original inspirations for the Ancient Lands I want to cover it first and it will probably be the focus of most of my writing for the forseeable future. There used to be a big long mountain range that marks the northern edge of the map, but I realized that a single region from the coast in the south all the way to the mountains would have to be huge, and it’s actually a stupid cartographic cliche carried over from Middle-Earth and Forgotten Realms. The Northern Forests are the lands that lie on the northeast shore of the Inner Sea and are covered in dense temperate forests. Near the coast the climate is quite mild but a few hundred miles north arctic winds cause more of a subarctic climate dominated by coniferous taiga woodlands. The Northern Forests are the homeland of wood elves and kaas and many of the larger fortress cities of the skeyn. They are also the main region where treants, giants, shie, and dragons rule over the lands and many abandoned and inhabited fey castles can be found. The southern Inner Sea is the most civilized region of the Ancient Lands where most of the major port cities are located. Which for this setting means something inspired largely by the city-kingdoms of Greek myth or downscaled versions of the late Bronze Age civilizations of the eastern Mediterranean Sea. The city states of the Inner Sea are found scattered across the southeast coasts and the nearby islands but the region also includes the Akai Mountains to the east and the Tavir Highlands to the south. 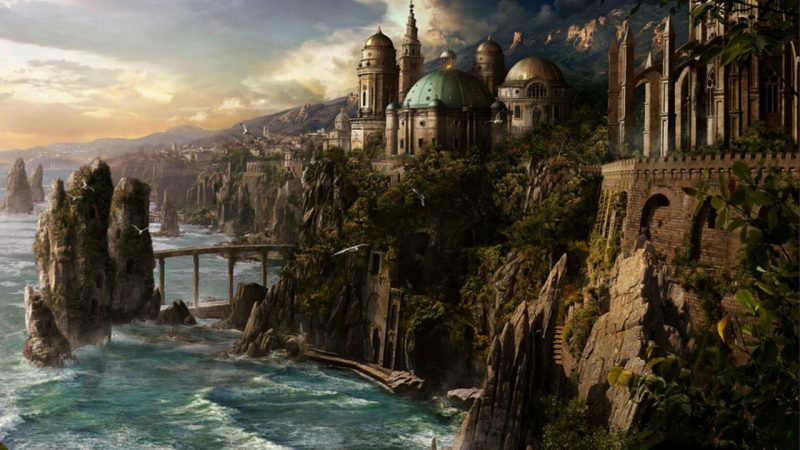 The coast is mostly populated by wood elves but is also home to large number of skeyn and some outposts of jungle elves that serve as harbors for ships transporting goods between the Inner Sea and the South. The Akai Mountains are the homeland of the yao who have few large settlements of their own and are mostly hunters and herders in a comperatively barren land. The Tavir Highlands are a desolate place feared by most people as they are prone to earthquakes and covered in small volcanoes and bottomless crevices of which many lead down into the underworld. The Highlands are home to the wilders, primitive and savage people of mixed wood elf and jungle elf ancestry that are said to worship the spirits of the Underworld. In addition, the Inner Sea is also the primary region of activity for the Sakaya. Originally the Sakaya started as a kind of monastic order that still exists in the Akai Mountains, but whose warriors have increasingly transformed into mercenary bands or raiders that have cut almost all ties with the monasteries. Several Sakaya generals have risen to be among the most powerful warlords of the Inner Sea and become a major threat to many of the established kings. The Inner Sea is also the region with the largest numbers of mortal sorcerers, most of which are nobles from the elven city states and sometimes practice their demonic powers openly. This region lies in the northwest of the Ancient Lands between the Inner Sea in the south, the ocean in the west, and the arctic sea in the North. Unintentinally, though perhaps subconsciouslty, I’ve been grouping all my ideas for dreary and desolate regions in this part of the map. It kind of satisfies my own appreciation for “that northern thing”, but while it’s certainly highly influenced by Norway and Iceland it’s very much not Viking themed. The Lands of Mist all have a subarctic maritime climate, which means cool and damp summers and freezingly cold damp winters. It’s damp pretty much all the time, overcast more often than not, and one of the few places in the Ancient Lands where moors, marshes, or even barren rock are just as common as woodlands. Population here is sparse, even compared to the rest of the world, and those people who settled here did so out of necessity rather than choice. There are some wood elves and kaas living here, as well as some mining outposts of skeyn. But most people are either jungle elves who have eatablished colonies that export dried fish to the south, or the Kaska, a group of savage yao who have fled to this distant corner of the world to flee the wrath of their gods. The Lands of Mist consist of three main regions. The Islands of the coast are home to the jungle elves who have adapted their culture to this harsh environment, particularly in the south where forests are still common. The mainland coast is where most of the wood elves and kaas are living in small fortified villages. Some distance inland lie the Witchfens, a vast soggy wetland that is inhabited only by the Kaska, who occasionally raid the coastal lands. Even though the region is a remote and inhospitable wilderness now, there are many old ruins around, many of which seem to be almost undisturbed by treasure hunters. The opportunity to find great riches and magical treasures is high but it’s particularly dangerous. The Lands of Mist are designed for darker adventures and suited either for higher level parties or campaigns going for a higher lethality. The tropical jungles and islands of the south started originally as an idea for providing an origin for the naga and having a great culture of lizardmen. Because it’s a prehistoric fantasy world and you really need to have a dominant race of reptile men. But when I decided to put the focus on a wilderness world I ended up scrapping the idea of a lizardmen empire as the dominant civilization. However, I recently braught the lizardmen back, though now as a more average culture. The islands of the southern sea oviously exist to cover any Island of Dread needs while the mainland goes for a style of the vast jungles of central Africa. The Southern Jungles lie south of the southernmost parts of the Inner Sea and also include the many islands that lie off the coast to the west and north. Both the mainland and the islands are home to jungle elves and lizardmen but even further south lies the mystical land of Kemesh, which to this very day is under the control of various powerful naga city states. The naga themselves only make up a small portion of the population, which consists almost entirely of elven and lizardmen slaves. The free tribes of both peoples are in an eternal war with the naga, but this has settled into a permanent state of mostly minor skirmishes and raids for many centuries now. These last couple of days I’ve been thinking about and rereading the rules for high level characters and ruling over domains in the Expert and Companion rules. Domain play has always been something of an elusive beast that few people seem to have any real experience with. Got there once but didn’t stay with it long seems to be the most common statement. When you look at the Cook Expert rules (1981), domain play is almost completely absent. It tells you that characters at 9th level can become rulers of a domain, tells the GM to handwave a monthly tax income, and has a half page of price lists for constructing a castle. But it doesn’t really go into what play as a ruler would be like. In the Companion set, a lot more ink has been spilled about it. There’s lots and lots of rules for management and accounting. But as far as I am able to tell, there still is no real guidance of any kind what players would actually be doing in play. Doing the accounting for a domain and occasionally fixing the mess caused by raiders or disasters? 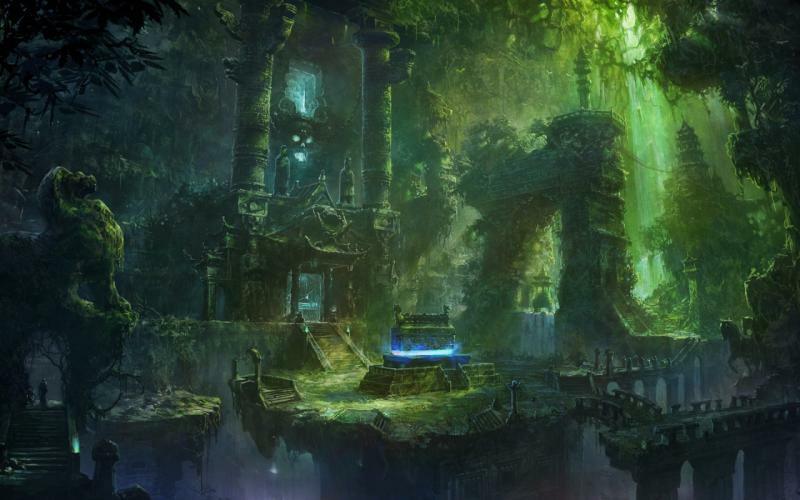 How would this be appealing to players who so far have been exploring exotic places, navigated deadly dungeons, and had dealing with monsters and evil sorcerers? It could be a fun game to some people, but doesn’t seem to mesh at all with what D&D has been up to that point. And much more importantly, it’s not a group activity. One player rules a domain and makes all the descisions for it. If all the players have their own separate domains, how would they be playing together? You can of course play a game of warlords, but that would be a competitive game, not a cooperative one. And a group of characters who have been working together for years wouldn’t suddenly become rivals and send their armies against each other. The only practical way I can see for having PCs become rulers over domains would be to have them retired from play and have them occasionally appear as quest giver NPCs played by their old player. Who would then be playing a new adventuring character to actually go on that adventure. If you have a large scale campaign with dozens of players and multiple GMs I could see that working for a handful of high level characters. But this simply isn’t the reality of how D&D is played. I wouldn’t be surprised if the number of such groups that still exists today could be counted on the fingers of one hand. If there even are any. One argument for domain play in a campaign with more Sword & Sorcery leaning that occasionally comes up is that Conan was a king. Kane was a sorcerer-warlord and Elric was an emperor. But the important part is that their stories are never about ruling and managing their domains. Sword & Sorcery tales about rulers are always about leaving the court with a sword in hand and fighting monsters. If you want to emulate the high level adventures of popular Sword & Sorcery heroes then domain management rules are completely irrelevant and out of place. Occasionally there are big battles between armies, but even then those stories are not about being a field commander. It’s always about personally going after the enemy commander or pulling awesome stunts to destroy the enemy forces without having your own troops stab them dead one by one. Mass combat isn’t something that happens in Sword & Sorcery either. What you get is raids with a group of maybe up to a dozen people. Which would be a group of PCs and their henchmen. So I’ve come to the descision that the high level elements of the Ancient Lands setting will simply assume that there is no such thing as domain play. Taking control of a stronghold and gathering followers will simply be down to players actually fortifying a place and talking to people. It may be done at any level and take whatever scale seems appropriate for a given situation. But for all intents and purposes characters will pretty much stop to advance after 9th level and only gain small increases in hit points at a very slow pace from their continued adventures, plus skill points for specialists and spell points for witches. (In my War Cry of the Flame Princess rules fighters reach maximum attack bonus and witches maximum spell level at 9th level, and scouts maximum Bushcraft and Stealth skills at 10th level.) I only ever had two campaigns reach 11th level and that was both in 3rd edition which has pretty fast level progression. So chances are pretty high I won’t ever see a 10th level character in the Ancient Lands anyway. This is hopefully going to be the first enty in a new series of post. I’ve often been talking about having a pretty much complete monster book for the Ancient Lands lying around that only needs the various monster descriptions typed down but so far I’ve never got around to actually do it. This hopefully is going to change now. There are close to a hundred monsters I’ve created for the Ancient Lands (and probably that many again that ended up cut) and they more or less fall into two basic categories. Supernatural monsters and fictional animals. While I really love my weird animals, there’s not really much interesting to say about them. A hippo with horns is stills just a hippo and a big hadrosaurus that has the stats and behavior of a camel is still just a camel. Not terribly exciting to read, nor to write. For the final document I am probably going to cover them with just two or three sentences each. That still leaves the spirits, demons, undead, and other magical critters, and those are where all of the real meat is. I am kind of starting this at the very end with the undead, who don’t actually play much of a significant role in the greater design of the setting and which are by far the fewest in number. Though this is what is actually making them the easiest to cover, and I’m always the first to admit that I am really lazy, so here you have them. I admit that there is nothing drastically new or original about them and they are in fact the most mainstream depictions of undead you can get. But I think most undead in fantasy are really just slight modifications of these and since undead are not going to be a real focus of the setting they should be sufficient. Also, given the way that undeath works in the Ancient Lands, having numerous highly specialized forms of undead wouldn’t feel really appropriate. Undead are rare and terrifying monsters in the Ancient Lands and only come into being through the effects of sorcery and demonic corruption. There is no single definition of undeath, but all these creatures share in common that they originally used to be living people (or animals) but have been transformed into something neither fully living nor dead. Animated corpses, wights, shades, and wraiths are the remains of people who have unquestionably died and whose spirits are forever gone. With ghouls and darklings things are much less clear as they have never truly died but share many of the other traits common to undead creatures. They might more accurately be described as corrupted rather than undead but this is a distinction that only matters to sages who have never actually encountered them in person. While ghouls and darklings are still consisting of a unified body and spirit and sustain themselves through consuming the flesh of the living, the other types of undead are fully magical beings that can not exist independently of the source of sorcerous power that created them. Walking corpses are usually close to the sorcerer or demon that created them while wights, shades, and wraiths are eternally linked to the corrupted energies of the place that spawned them. In fact they are more part of the place than separate beings and as such it is impossible to exist beyond its borders. This is widely seen as a blessing as these undead horrors have the ability to turn the slain into more of their own. Special: Immune to disease, poison, charm, paralysis, and sleep. Animated corpses are known under many names but in the end they are effectively just that. The remains of living people and beasts that have magically been giving a semblance of life by the magic of a sorcerer or demon. They have no spirit of their own and are nothing more than empty shells made to rise and move pulled by magic strings. While terrifying to look at, animated corpses pose no greater threat than living beasts and can simply be cut down by any blade, but as there is no blood running in their veins they tend to continue fighting until they are hacked to pieces. 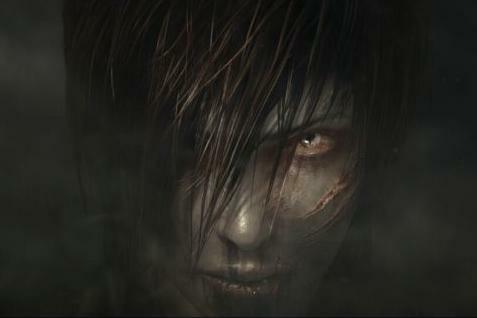 Ghouls are elves, yao, or other humanoids who have been corrupted by the dark magic of sorcery or demons. Though they have never truly died, they resemble the undead, existing in a state between life and death. They grow gaunt with pale skin and dark sunken eyes and are suffering from madness, but are also filled with unnatural vigor and are much more cunning than any beast. Their clawed fingers can crush a mans throat and leave deep rends in the flesh of their victims, and their teeth have the strength to bite through bones, as they regain their strength by feeding on the flesh of humans and beasts. Many ghouls once were adventurers and treasure hunters who delved too deep into ancient places where the living are not meant to tread, or what remains of those who become slaves of dark sorcerers or demons. The corruption that warped their bodies also affects their minds and all of them are clearly unhinged, but most of them seem to retain the memories of their former lives and traces of their past selves. 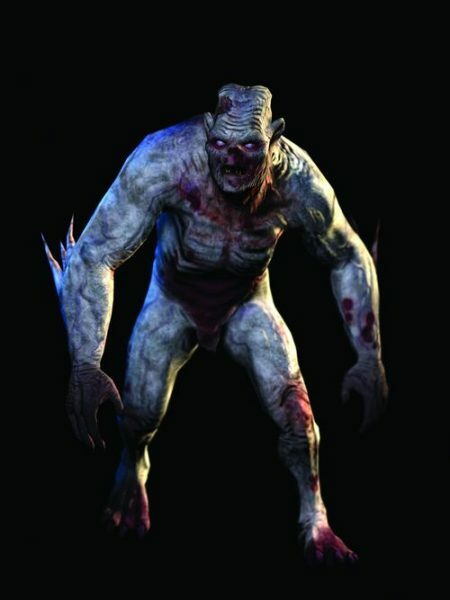 A living creature hit by a ghoul’s claws must make a saving throw against paralysis or collapse to the ground unable to move for 2d4x10 minutes. A few weeks back, Joseph had been writing about the idea of having parties going on adventures only for some months of the year when weather permits it and then returning for the winter to deal with business back home. It’s an idea that goes back at least as far as Pendragon, but also more recently appeared in The One Ring. And in both cases it seems to be an element that is quite popular with players and that constitutes a pretty important part in giving these games their unique spin. It basically has to main effects on a campaign. One is that players have to regularly return to a safe haven for overwintering, which can nudge players to get involved in more urban or social adventures which they normally wouldn’t seek out. It also allows for a good blend of exploration adventures and domain management if that later aspect is desired. The other thing that it does is to create a much stronger sense of the passing of time. One oddity of megadungeons, super-modules, adventure paths, and other kinds of published campaigns is that they often take characters from first level to high levels at an incredibly fast pace. Often just a couple of weeks or a few months at the most. After which they are as powerful and experienced as NPCs who have been at it for decades or even centuries. Even if the campaign includes time jumps like “after 5 weeks of sailing” or “several months later”, these things don’t tend to be felt by the players, to whom it might just as well have been “later that afternoon”. 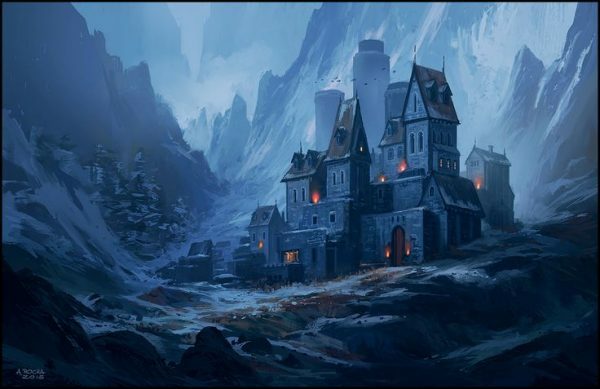 By regularly alternating between adventuring season and winter camp, you at least communicate the idea that the campaign stretches over a couple of years. To add this aspect to your game, you don’t actually need any specific rules for it. All you really need to do is track the passing of days on the calendar. Even if it’s just a simple campaign of going to the dungeon and poking around, placing the dungeon a few days travel from the next village and putting each village with a dungeon a week or two apart from each other will lead to a lot of time passing between each session. If you have a sandbox (one that isn’t about filling out a 6-mile hex map), put the various locations a good distance away from each other and players should very quickly rack up pretty long travel times. 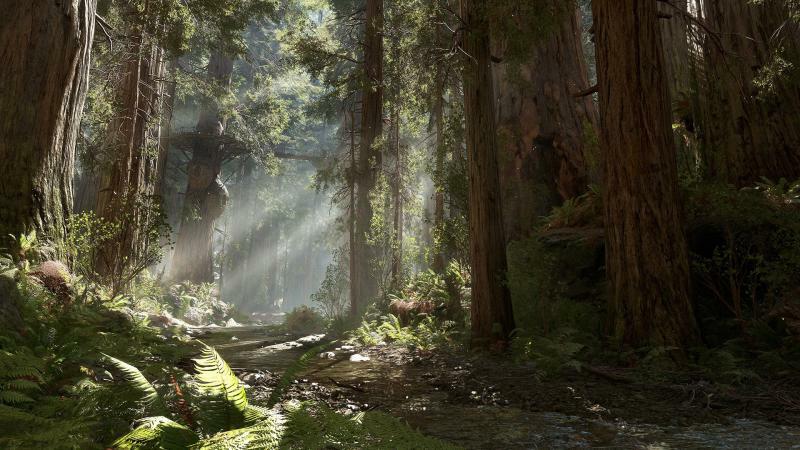 Once the campaign reaches the end of the ninth or tenth month, simply tell the players that weather is getting increasingly awful for camping in the wilderness and that they should find a place to stay until the fourth month or so. If it fits the campaign, you can then simply jump ahead to the next spring and continue from there. There are also a good number of great adventures that can be had during the winter. But these are usually not long expeditions into the wilderness. Much more commonly these are things with isolated villages being threatened and no help coming until spring. The kind of places where you would expect adventurers to stay for the winter. These don’t have to be elaborate adventurers. They can easily be just simple one-shots for a single session, but can also be pretty big things as well. The advantage of this is that you will have the players remember that they actually have experienced a winter and it’s not something that was only mentioned once in passing. For my Ancient Lands campaign, I am planning to make a simple Random Event table, on which I will make one roll for every month in winter camp. With a 1/6 chance four times in a row, something is almost certainly to happen; perhaps even two things. These would probably have to be rolled in advance and not at the table, so you can prepare some material for it. But again, it doesn’t have to be big things. “Frozen Zombies” or “Winter Wolves” would be enough as a hook for the GM. Then you can start with destroyed farms or dead cattle in a stable and have the players deal with it as you usually would in a sandbox. Since the players are kind of stuck in the place and have nowhere else to be, they probably wouldn’t resist looking into it. But when it comes to running an campaign with a level based system I also got another idea. There’s a small and perhaps not too well known rule in the 1981 Basic Set that characters can never gain enough XP to level up twice after a single adventure. However, the book doesn’t really specificy what constitutes an adventure. I am assuming it means a single session, but when you’re playing the long game you can also think much bigger. Like a whole year bigger. Which, when you consider it narratively, still isn’t really that long. A young adventurer who goes adventuring every year could easily reach 9th level well before age 30. Make it twice as much and you end up with PCs reaching their maximum number of Hit Dice around 40. That seems very appropriate to me. In fact, it would be quite critical that the campaign is laid out so that characters don’t reach their annual XP cap on a regular basis. The required XP scores for advancing to the next level are roughly doubling with each level which leads to lower level characters catching up to higher level characters pretty quickly. Be they replacement characters for dead ones, new additions to the group, or characters who have suffered energy drain. If all the characters in the party reach the XP cap every year, then the lower level characters will never be able to catch up. So when you estimate how much adventuring the party will be doing in a year, I think aiming for half the XP needed to have the highest level PC reach the next level would be a good baseline. If the difference in character levels gets really big you run into some problems with encounters anyway, but it’s going to be troublesome here as well. You can easily have characters with an XP cap a hundred times higher than others, which can very likely mean that the lower level PCs would reach their maximum right after the first session of the season, which I guess wouldn’t really feel that fun for the players. One possible option would be to have a year in which the highest level characters don’t go on adventures. However, unlike with spliting the players into two groups and having them adventuring separately for one or two adventures, you can’t really have these adventures simultaneously when you want the lower level characters to catch up with the higher level ones. The players with the higher level characters would have to wait until the other group has finished its adventuring season before they can get back into the action. I think that wouldn’t really be feasible for more than one session or two. Perhaps those players might like to play henchmen or create secondary characters, but I am not sure if they’d be really happy with that either. While I’ve heard that it used to be quite common for players to semi-retire their high level characters and start new ones in paralel, I don’t know if this is something players would still enjoy doing with the expectations they have today.